Buying things from strange dudes never ends up working out. So yeah, Sony is purchasing Gaikai for over $300 million and apparently people are excited about this. What’s this mean for us gamers? It means that streamed gaming is taking off and the big dogs are taking notice of it. It could also mean more options and less commitment to purchasing expensive $60 titles. I personally don’t really know what to think as I prefer ownership over rental-esque schemes that could potentially fill my game with excessive advertisementing. 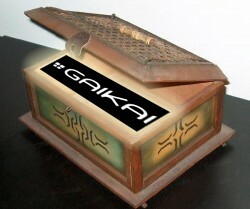 I also don’t want Gaikai to suddenly transform under mismanagement and fill the world with tiny green monsters.